A play by a Zimbabwean writer has been shortlisted for the 2018 edition of the BBC Radio International Playwriting Contest. The play, 'Fields of Glittering Things' is one of the few selected from a record 1,500 entries this year, received from 114 countries. 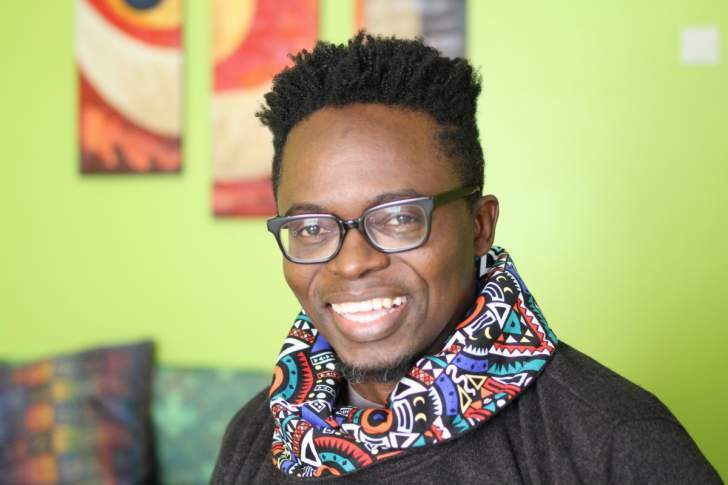 The playwright, Fungai Tichawangana, who submitted the play under the pen name Iz Mazano is now in the running to win the £2,200 first prize and a trip to London to see the play being recorded for broadcast on the BBC World Service. Tichawangana is a journalist, entrepreneur and writer from Zimbabwe who is currently based in Kenya. His shortlisted play is about a group of young Zimbabweans who set off to seek their fortune in Chiadzwa during the diamond rush that took place there from 2006 to 2008. 'Fields of Glittering Things' is one of seven plays shortlisted under the English as First Language category. The other plays are 'Atacama,' by Augusto Amador (USA), 'Stand Pipe,' by Derrick Jeffrey (Thailand), 'Tanty Get Ah Android,' by Julien Marvin Neaves (Trinidad and Tobago), 'By God's Mercy,' by Colette Victor (Belgium), 'An Incident Over Water,' by Paul Charlier (Australia) and 'Fire In The Head,' by R Johns (Australia). There are also nine plays shortlisted under the English as a Second Language category. These are 'The Journey To Fortune?' by Bode Asiyanbi (Nigeria), 'Token Dead White Guy,' by Africa Ukoh (Nigeria), 'My Migingo,' by Edith Osiro (Kenya), 'The Storychild,' by Mohamad Aziz Salim (Malaysia), 'Shadows Of Saint Petersburg,' by Xenia Pattberg (The Netherlands), 'The Checkpoint Recital,' by Or Amit (Czech Republic), 'The Meaning Of Life,' by Anna Spatar (Russia), 'A Boat Story,' by Muhammad Addam (Egypt) and 'A Broken Heart In A Warzone,' by Aziz H (Yemen). The winners, as well as the regional prizes and Highly Commended and Commended plays, will be announced in August. The winning play from each category will win £2,200. In addition, the most promising script from the competition will win the Georgi Markov prize. All three winners will travel to London in October for two weeks to work alongside BBC Radio Drama and BBC World Service journalists as the plays are produced. In 2013, Zimbabwe's Virginia Jekanyika was the winner of the competition in the English as a Second Language category. Her play, 'The Cactus Flowers,' told the story of three women who start a fishing business in Lake Kariba, Zimbabwe in an attempt to pull themselves out of poverty. Just when business starts to pick up, they are hit by a sudden death and a bitter betrayal initiating a struggle for survival.